The awareness that an unseen energy flows through all living things and directly affects the quality of a person’s health has been part of the wisdom of many cultures since ancient times. The life energy goes by many names: qi in China, ki in Japan, and prana in India. The ancient Hawaiins called it ti or ki. It has also been called orgone energy and élan vital. Science refers to it as biofield energy. When your life energy is low it is more difficult to deal with stress. You may not sleep well, and you are more susceptible to illness when your life energy is low. When your life energy is strong you feel strong. You can more easily deal with stress, and you are less likely to get sick. Reiki is a technique that increases a person’s supply of life energy. Reiki is administered through the hands of a Reiki practitioner with the client laying fully clothed on a massage table. A session usually lasts between 45 minutes to an hour. The Reiki practitioner places their hands at locations around the head, shoulders, abdominal area, legs, and feet. The body tissue is not manipulated in any way. The Reiki practitioner’s hands are simply held at each location, lightly touching the body, or slightly away from the body. Reiki energy flows from the practitioner’s hands and into the client’s body and energy field. A Reiki session feels like a wonderful glowing radiance that surrounds and fills the client. It includes feelings of relaxation, peace, well-being, love, and healing. Reiki energy allows muscles to relax and increases blood flow to treated areas, which in turn quickens the healing process. Reiki practitioners and clients report help with stress, headaches, stomachaches, insomnia, sprains, and a variety of other conditions. Reiki also promotes psychological healing including the release of anger, fear, worry, sadness, and other unhealthy feelings. Reiki replaces these feelings with self-worth, confidence, love, calm and tranquility. Reiki is becoming increasingly popular with the medical community, with over 800 hospitals across the United States offering Reiki as a standard part of hospital care. A research study at Hartford Hospital in Hartford, Connecticut indicates that Reiki improved patient sleep by 86%, reduced pain by 78%, reduced nausea by 80%, and reduced anxiety during pregnancy by 94%. In addition, nurses report that Reiki helps patients heal faster with less pain, reduces stress, improves mental attitude, improves appetite, reduces the negative side effects of chemotherapy, radiation and other medical procedures. 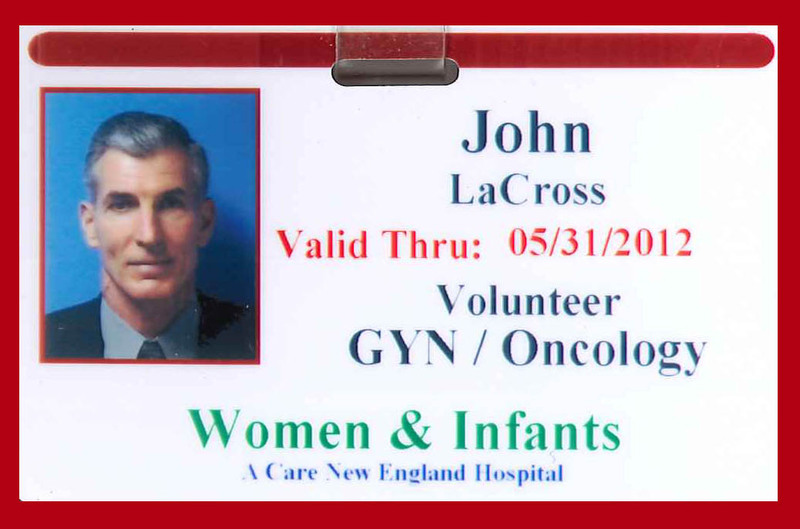 John volunteered his time for several years at Women & Infants Hospital, Providence RI, treating Oncology patients and promoting their healing and stress reduction with Reiki sessions.